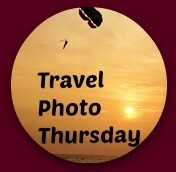 Welcome to week 241 of Travel Photo Thursday. I survived the move to Seoul, and have spent the last few days unpacking. I’m getting close. Would you believe that most Korean apartments do not have built-in closets? I kid you not! This makes for some very creative storage options! I love taking (mostly) candid shots of kids when I’m traveling, and today I want to share with a few of my favorite cute shots of kids that I’ve take over the years. Remember to leave your comment and link at the bottom! Magic will happen! 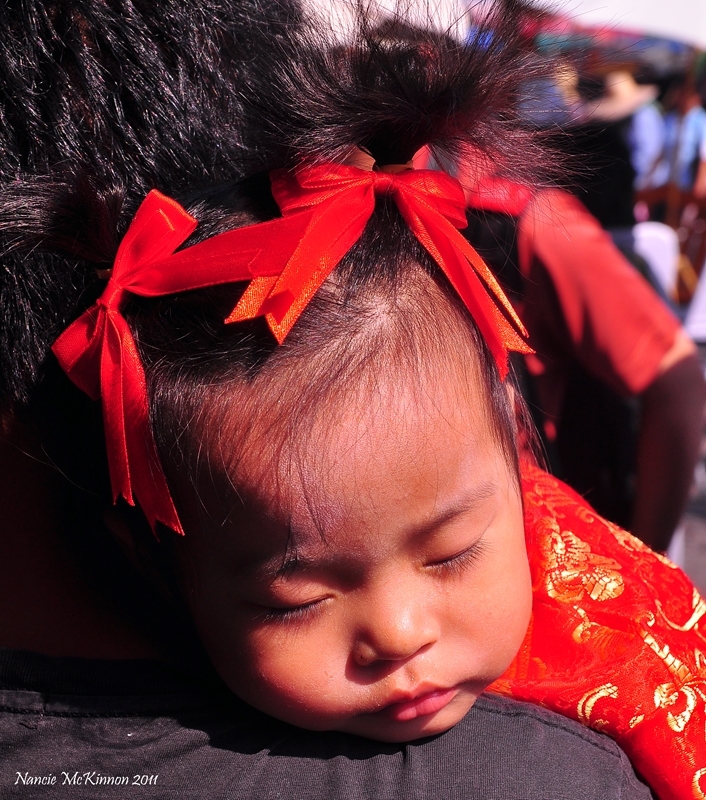 The streets of Chiang Mai are filled with cute kids at Chinese New Year. Like this little beauty below, most are dressed in lucky red. This young fella was watching a young boy (around 10 years old) shimmy up a very tall pole to balance himself on top. This cutie pie was mesmerized. 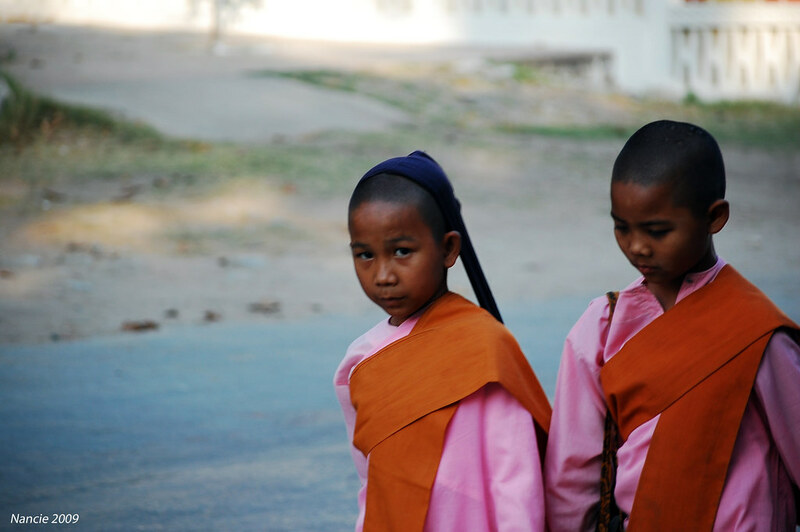 Female monks are very common in Myanmar, and some begin their training at a young age. 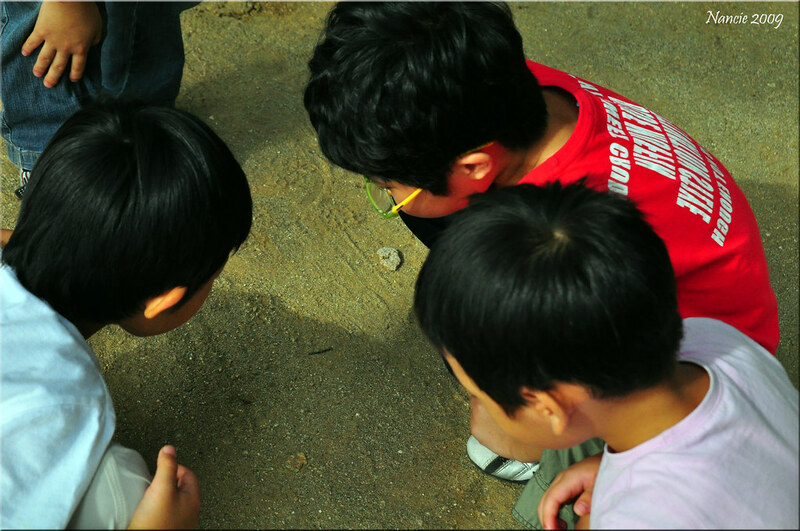 Boys being boys, in Korea. I wanted to blow bubbles, too! Also taken in Myanmar. Seems to be gazing at something very intently. 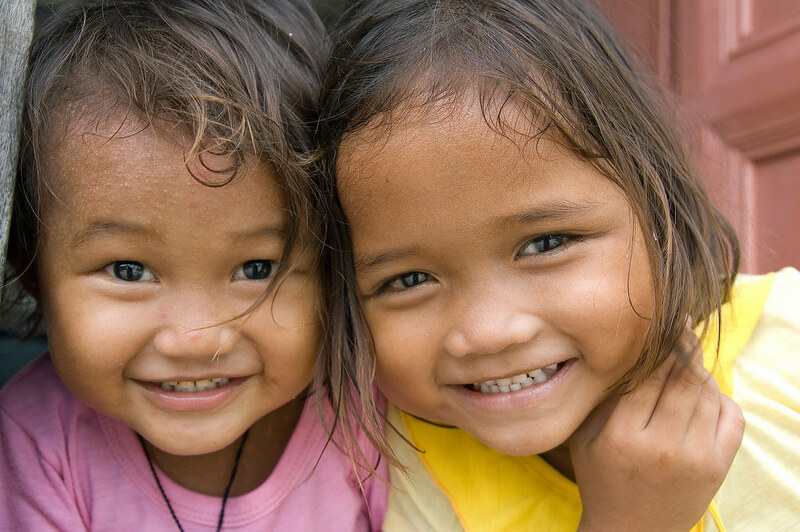 Taken on Malaysia’s Mabul Island, I just love the look of delight on their faces. 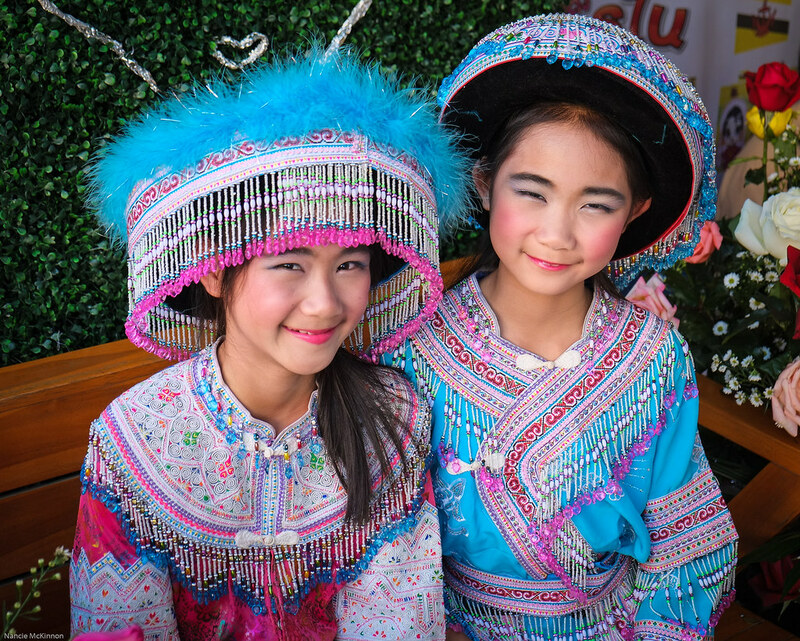 The hill tribe girls in their traditional costumes are so photogenic, and they love having their photos taken! 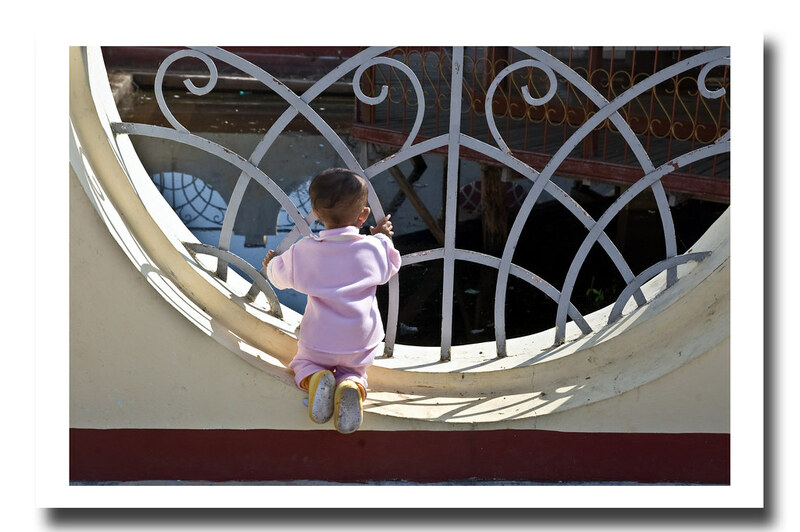 Do you photograph local children when you travel? Do you have a favorite shot? I do love seeing children taking intense delight in something they are doing, or watching how natural they look in their tribal dress. 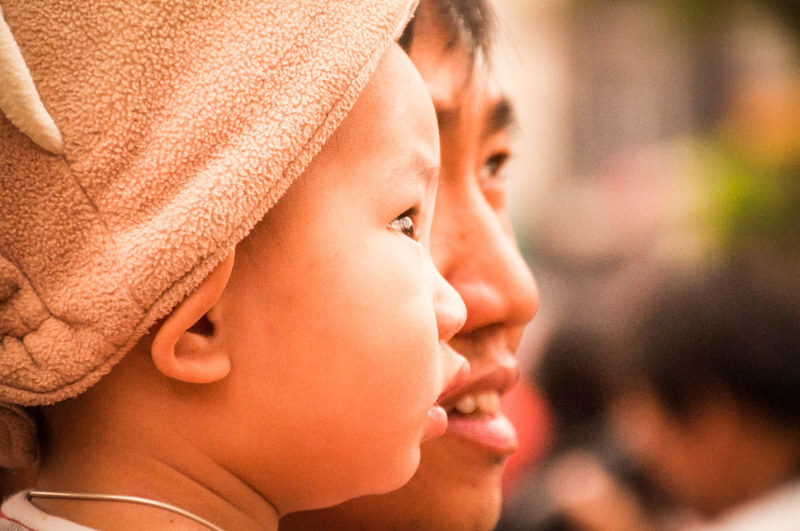 Delightful photos, I especially like the “bubbles” shot and little boy in his father’s arms in Chiang Mai. I would love to go to Myanmar one day (soon). Hi Jan. I must be losing it. I could have sworn that I read your comment and replied. Obviously not! I think you would love Myanmar. I’m sure a lot has changed since I was there in 2009, and hopefully for the better! They are stunning photos. What beautiful images (and kids). What a cute article! Kids have always been friendly when I visit a new place. They have even guided me to a secret waterfall or beautiful beach. I particularly like to take photos of parents playing with their children. They show how much joy a child can bring to life. These children are adorable and you’ve built quite a great collection here. I adore those girls in their traditional costumes. It’s always fun to see other children when visiting other countries. My kids enjoy interacting with them and it’s heartwarming to see them start playing even though they don’t understand each other. Great photos! 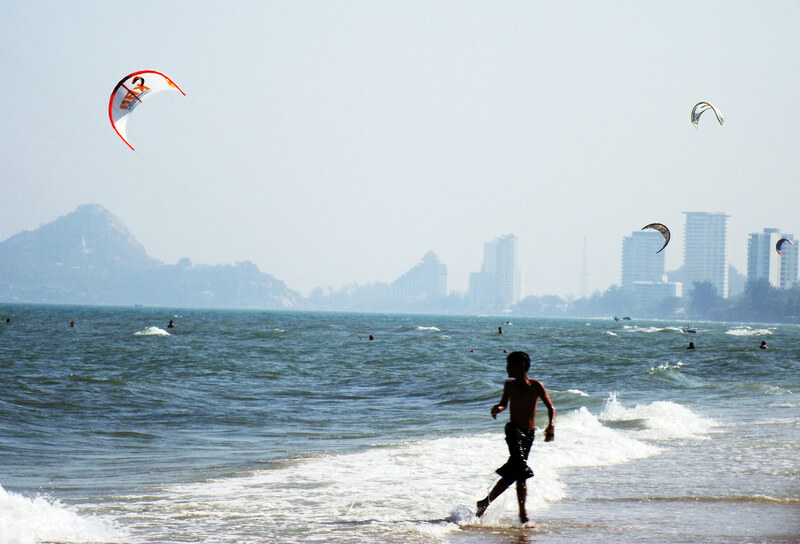 I especially like the one with the boy on the beach flying the kite. Great portraits Nancie. I love taking photos of people when I travel! Oh these are simply delightful, happy photos Nancie! Love them all. (Running late to the linkup this week – still waiting for the big computer to be returned from the Windows shop where it was going to take 15 minutes – three days ago. . .sigh! 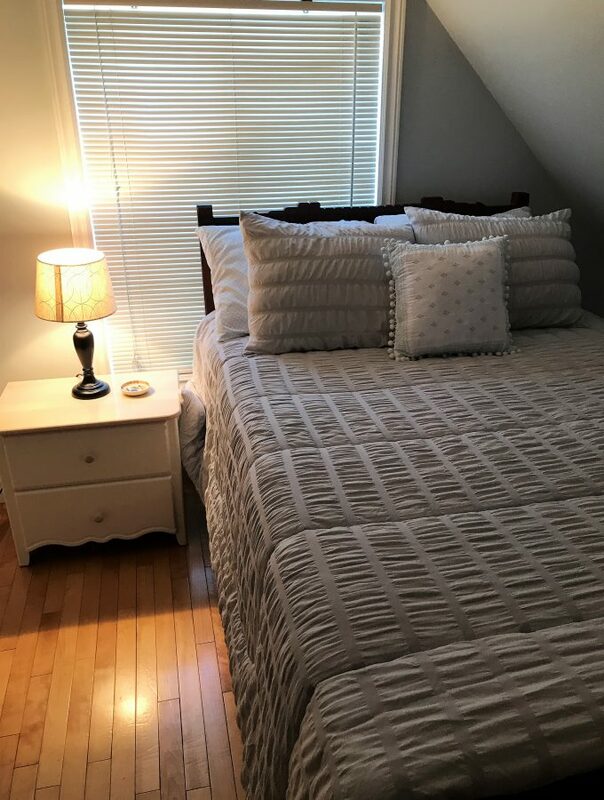 Hope you are getting settled in. I’m always too shy to take candid photos of youngsters when we travel. Also, I have my own crew of 3 kids along and seem to mostly focus on them instead. I really like your photo of the female monks in Myanmar because I didn’t realize that women could be monks. The one of the hill tribe girls is also captivating. Cuteness overload! They are so adorable. these kids are absolutely adorable! I’ve not taken photos of kids. Thinking about it now, I realize I’m usually reticent about that, it feels a bit intrusive to me though these don’t. So I’m rethinking. Thanks, Nancie! People love kid photos- these are all great. They made me smile. Favorite: the little girl with the red ribbons in her hair. Ahhh! The photos of these kids are all so cute. Thanks for making me smile. These photos are beautiful. My favorite photo of all the photos we’ve taken on our travels is one we took in 1982 on our honeymoon with a Kodak instamatic camera. It’s of a young girl outside Cuzco, smiling broadly, carrying a kid (baby goat) in a shawl on her back. Great job capturing so many happy faces! What great memories of your travels. Sometimes, like the old adage ” A picture is worth a thousand words!” These photos of children are true winners and I love seeing them dressed traditionally. I think my favorite may have been the gorgeously attired Hill Tribe beauties and I was really surprised to learn that Myanmar has female monks! I just love photos of children. They reflect the local culture in a pure and simple way. These are just lovely. Thanks for sharing them. The top photo is precious Nancie. You’ve wonderfully captured such joy in the faces. 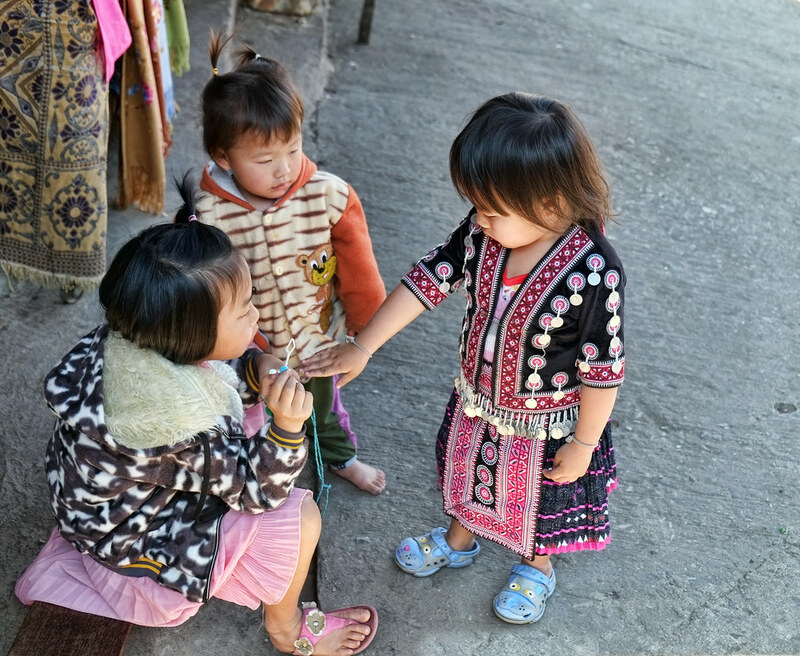 I especially love the Hill Tribe children. I love the beautiful faces of children when I travel. When you see kids playing on travels it makes you realise what a common thread of humanity we all share. Watching them play, all kids seem so similar – for some reason it all changes when we grow up……. Lovin’ photo Thursday. There is some great scenery in Ireland. Have you been yet on your travels? If you come to Northern Ireland, let me know. I could show you around the best sights.